Filing Boxes Durban. Pack Now stocks a range of filing boxes. Two specifically designed document storage cartons for easy filing and storage. Sturdy cartons are specially designed for long-term, archive storage. We supply two filing boxes, our first filing boxes is the traditional base and lid filing box. We also stock a filing box which allows for the vertical standing of files which also completely seals with security tape for confidential documents. 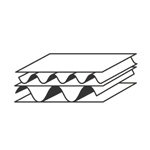 Buy filing boxes online from Pack Now Durban. Dimensions : 430 x 330 x 260mm (L x W x H) Thickness: Single Wall Qty: Single units can be purchased, bulk pricing applies call us. Packing Limit: 5 lever arch files Colour: Brown / craft Items can be purchased online or shop at one of our Pack Now branches. Dimensions : 370 x 255 x 90mm (L x W x H) Thickness: Single Wall Qty: Single units can be purchased, bulk pricing applies call us. Packing Limit: 1 Colour: Brown / Kraft Items can be purchased online or shop at one of our Pack Now branches. Dimensions : 530 x 355 x 300mm (L x W x H) Thickness: Double Wall Qty: Single units can be purchased, bulk pricing applies call us. Packing Limit:Holds 8 - 12 Files Colour: Brown / craft Items can be purchased online or shop at one of our Pack Now branches. Strong filing box made to last and hold 6 files. perfect for storage and transporting.